The state should subsidise independent school fees for children from low or average-income backgrounds to ensure every youngster has the chance to attend a top pubic school, according to a Labour MP. 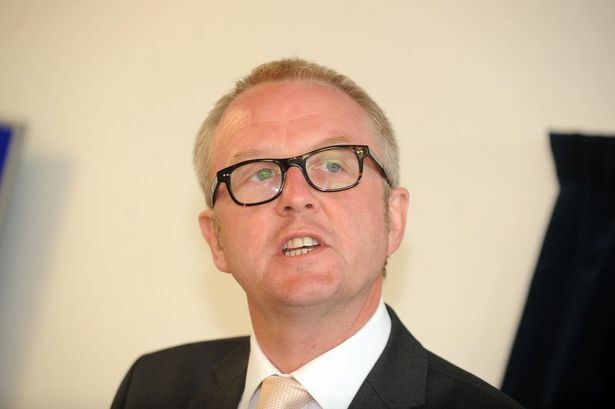 Black Country MP Ian Austin (Lab Dudley North) set out radical proposals to end the link between wealth and access to high-achieving schools. He said the Black Country boasted a number of excellent state schools – but standards in others were not good enough. The MP said: “We have to be honest with ourselves and admit that the current system is not promoting social mobility. The comments were welcomed by Education Secretary Michael Gove, although Mr Gove claimed it was surprising to hear them coming from a Labour MP. Mr Austin wants the Government to provide funding to expand the work of the Sutton Trust, a charity dedicated to opening up access to fee-paying school to all children. It has run a pilot project at a successful independent day school in Liverpool called Belvedere, which now charges fees on a sliding scale according to how much parents can afford. As a result, the social make-up of the school changed dramatically, with 30 per cent of pupils paying no fees, 40 per cent paying some fees and the remaining 30 per cent paying the standard fee. King Edward’s School in Edgbaston, Birmingham, is one of a number of independent schools which says it would like to operate a similar system. He added: “This year, I am pleased to say that results improved at four of those schools, but what shocks me is the extraordinarily wide variation in achievement between schools with similar intakes. He urged Ministers to look at “the brilliant work” of the Sutton Trust, adding: “Sharing costs with parents would mean that the cost is less than the current cost of an average state school place. The proposal was welcomed by Mr Gove although Schools Minister David Laws praised Mr Austin for “a fantastic speech” but said the proposal might be “too radical”. Mr Austin also set out a range of other ideas, including ending the division of children into year groups and instead dividing them based on the progress they had reached. He called for the creation of more University Technical Colleges, a type of specialist school focusing on technical and vocational skills in advanced manufacturing, engineering and other hi-tech subjects. But he also called for the creation of a new type of specialist school for pupils aged 14 to 19 focusing unashamedly on high level academic subjects, to enable state school pupils to compete with those from independent schools. Speaking after the debate, the MP said: “Ministers should look at opening up access to leading independent day schools. All places would be available on merit alone, with parents paying a sliding scale of fees according to means. The MP is a former Local Government Minister and Minister for the West Midlands. He was once seen as a close ally of former Prime Minister Gordon Brown. Research by the Sutton Trust has found that Despite making up only 7 per cent of the school population, pupils from independent schools are over-represented in the country’s professional elites. It found that 35 per cent of MPs, 51 per cent of medics and 54 per cent of leading news journalists attended an independent school. Among high court judges, the figure was 70 per cent.